Support can only be granted to authorized installers. 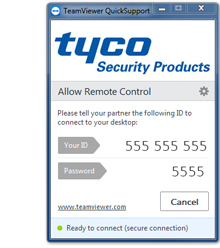 The TeamViewer button below allows you to share control of your computer and screen with the Technical Support team. If you require technical support, we recommend following these steps on the computer that you require assistance with.